Country Catering | We Cater to You! 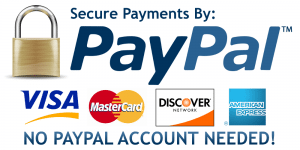 Below you will find some of the most common questions regarding PayPal. If you have additional questions, please contact us. PayPal enables any business or consumer with an email address to securely, conveniently, and cost-effectively send and receive payments online. Our network builds on the existing financial infrastructure of bank accounts and credit cards to create a global, real-time payment solution. We deliver a product ideally suited for small businesses, online merchants, individuals and others currently underserved by traditional payment mechanisms. We seek to become the global standard for online payments, offering our service to users in 45 countries. We have over 56 million registered users, including more than 5 million Business accounts. Our account base is growing by an average of 28,000 accounts per day, with virtually no traditional sales or marketing. The size of our network and widening acceptance of our product has helped us become the leading payment network for online auction websites, including eBay. PayPal is also increasingly being used at other e-commerce sites for the sale of goods such as electronics and household items, the sale of services such as web design and travel, and the sale of digital content. Offline businesses, including lawyers, contractors and physicians, are increasingly using PayPal to receive payments online. PayPal can be used to send and receive payments through the Internet. You can send money to anyone with an email address using money from your PayPal balance or another funding option of your choice, such as a credit card, debit card, or your bank account. Recipients are then notified via email that they have received a payment from you. How Do I pay a Merchant Through PayPal? A customer is automatically re-directed to the PayPal system when they click on our payment button. If you are already a PayPal member, your credit card or checking account information is already on file with PayPal so you don’t have to re-enter that information each time you use the services. There are no encrypted credit card number ‘cookies’ stored on your hard drive. Simply follow the on-screen instructions to proceed to payment. Can I Receive PayPal payments? Yes. You can login to PayPal and provide them with a checking account you want payments to be made to. Click Here to do this. It usually only takes less than a minute to pay for the item and have an email notice sent to the Verified PayPal Merchant. How quickly the merchant responds is dependent on the system they have set up to handle orders. You should receive an automatic confirmation within a few minutes from Country Catering, Inc. after completion of your reservation request. Is Country Catering, Inc. (dba www.countrycatering.net) a Verified PayPal Merchant? Absolutely, we wouldn’t have it any other way. Being PayPal Verified is important to us. Displaying the PayPal Verified Seal means that Country Catering, Inc. (dba www.countrycatering.net and www.country.catering) is a U.S. Verified Business or a U.S. Verified Premier Account. Country Catering, Inc. is both a U.S. business and a Premier PayPal vendor. This verification is a positive signal to you, the buyer, and to the PayPal community. By using the Verification System, PayPal reduces the risk that a Seller is not legitimate. Dishonest Sellers damage both the PayPal community and the online community in general. It is our goal to conduct business fairly and safely, with the ultimate reward being a happy customer who will continue to do business with us. Thank you for shopping at Country Catering, Inc.. Yes. PayPal uses SSL technology to keep your information safe. In addition, when you send a payment using PayPal, the recipient won’t receive sensitive financial information like your credit card or bank account number. This way, you don’t have to worry about paying people you don’t know. How do I use PayPal to send a payment? After you sign up for a PayPal account, you will need to add a funding source for your payments. For immediate payments, you’ll need to add a credit or debit card. You may also use PayPal Buyer Credit if you have been approved. Then, click on the Send Money tab and enter the recipient’s email address and the amount of your payment. You may also fund payments using your PayPal balance or your U.S. checking account. Just remember, adding a bank account will take a few days. How private are PayPal transactions? PLEASE NOTE: A 10% Service Charge will be added for convention center locations. All orders under $350 subject to $15.00 Delivery Charge. *prices are subject to change without notice. Images are stock photography representations of similar food items. At Country Catering, We Cater to YOU!